Farmers Look For Ways To Circumvent Tractor Software Locks : All Tech Considered Fixing a modern tractor takes more than the right parts, but also the right software. Farmers are lobbying for the ability to buy that software, and some are hacking their way around the problem. Farmers are lobbying for the ability to buy software to fix their equipment, and some are hacking their way around the problem. A new tractor often costs hundreds of thousands of dollars, but one thing not included in that price is the right to repair it. 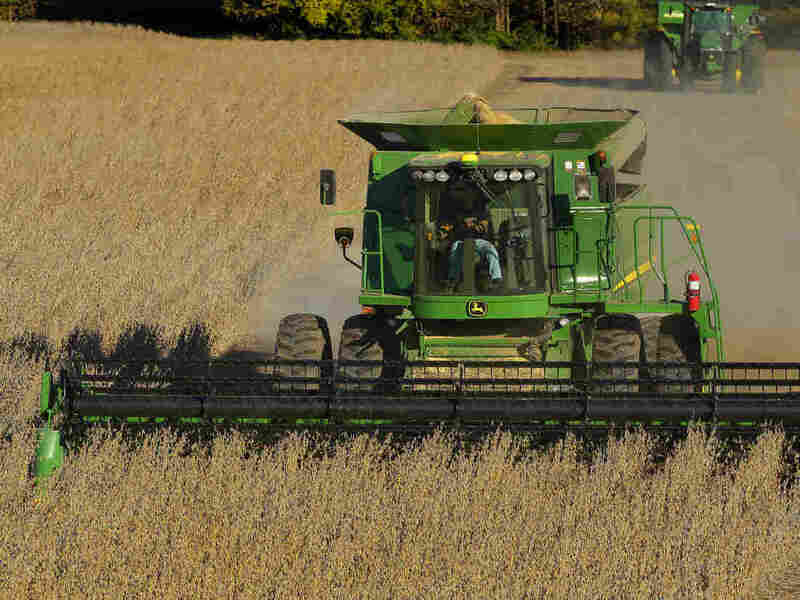 That has put farmers on the front lines of a battle pitting consumers against the makers of all kinds of consumer goods, from tractors to refrigerators to smartphones. Schwarting says some farmers want this software so badly, they're using a pirated version from Europe to basically hack their way into their own tractors. Kyle Schwarting farms near Ceresco, Neb. 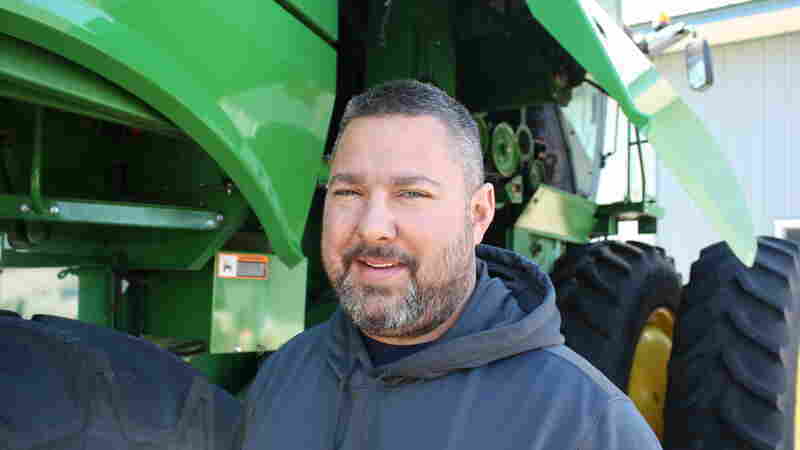 As a former auto mechanic, he was surprised to learn the software needed to fix tractors isn't available like it is for cars. "You know, without getting too self-incriminating there's countries out there that have this software," Schwarting says and laughs. "You got to keep going when you got to keep going and guys are going to find a way no matter what they have to do to do it." Gay Gordon-Byrne heads The Repair Association, a group advocating for consumers to be able repair the products they buy. While she didn't know farmers were hacking tractors she isn't surprised. "It's not extreme," she says. "I mean, if you have something and you can't fix it and you get on the Internet and find a way to fix it, I don't blame anyone for trying it." But she says there should be an honest way to do it. Eight states, including Nebraska, Illinois and New York are considering bills requiring manufacturers to sell repair software. Not only for tractors but also phones, computers and appliances. Car makers started selling repair software after a similar law passed in Massachusetts. The U.S. Copyright Office says it is legal for consumers to repair most products, but Gordon-Byrne says manufacturers can get around that with user agreements. Inside those end-user license agreements that we sign, "there's things like you won't open the case, you won't repair," she says. 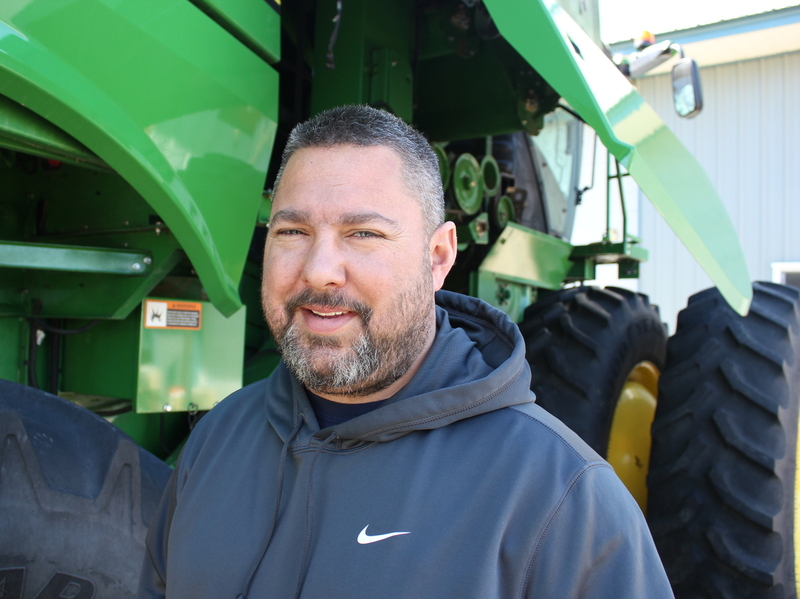 Andy Goodman of the Iowa-Nebraska Equipment Dealers Association says there's a good reason for that: farmers could damage the machines, like bypassing pollution emissions controls to get more horsepower. That could put dealers in a difficult position. "When we resell that machine we have guaranteed to someone that it's going to perform within certain standards," Goodman says. "Those that are stated by the manufacturer but also those that are required under law." Of course, equipment dealers have also cornered the repair market. And as tractor sales slump, their businesses rely even more on service calls. Schwarting says when the farm economy was strong a few years ago, farmers could afford to call the dealer and share the wealth. But it's lean times for most farmers now. "Guys can't afford to do that anymore," he says. "Three-dollar corn doesn't buy new combines very fast. So, guys are going to have to work on them." Because when a farmer spends hundreds of thousands of dollars for a tractor, he'd like to save some money on the repair bill. Grant Gerlock is a reporter at NPR member NET News. This story comes to us from Harvest Public Media, a reporting collaboration focused on food and agriculture.